2017 Tickets ON SALE NOW - CONTACT US! BostonBoxOffice.com is your # 1 ticket source, offering quality tickets to sold out games. We are pleased to offer tickets for all 2013 home games. NO FEES OR SERVICE CHARGES! Become a Boston Box Office member and gain access to deals and discounts. Please visit the about us portion of our website for more information on membership benefits, how to become a BBO Member, as well as our general policies. BostonBoxOffice.com is an independent and privately-owned company engaged in the service of finding and providing tickets for admission to all Boston Red Sox home games. 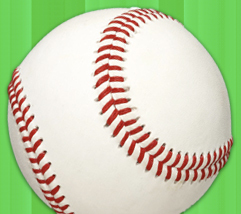 We are not affiliated with MLB, or the Boston Red Sox, nor are we authorized by any box office, promoter, venue, stadium, sporting team, or sporting association. All and any copyrights, trademarks or trade names used on this web site are for descriptive purposes only. We are not acting on the authority of or by the permission of any of the above mentioned entities. We are able to provide access to tickets for events through our contacts and various sources. Our Prices include service charges, fees, membership fees, costs and expenses, and are significantly higher than the face value printed on the actual tickets.